Every single UK region had a higher £ value exported last year than the previous year. In Yorkshire and The Humber, the value of exports increased 13.6% from 2016 to 2017. 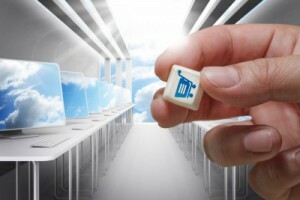 Companies are discovering how it easy it is to sell internationally in online marketplaces, and via their own websites. With more people around the world shopping online, there are so many new potential customers, even if they are in another country. Savings in tax may make up for international postage and import duties, possibly making it cheaper to purchase something from abroad. The UK’s top trading partners in terms of exported goods are the US, Germany, France, Ireland, the Netherlands, China, Belgium & Luxembourg, Spain, Italy and Switzerland. By localising your website into French, German, Spanish and Italian, you will have access to 8 of the top 10 countries. If you are relying on your English website and on English-language online marketplaces, your potential customers will buy from your competitors instead. The easier you make it for someone to buy something, the more likely it is that they will shop with you, so localised eShops and other online listings are the way forward if you want international customers. To test a market, you could try localising a landing page and linking it to localised google advertising to gauge interest. Starting to trade internationally doesn’t have to be expensive. There are also plenty of grants available from the DIT to help you get started.